Before Bud-E can serve you, it(Chatbots have no gender right?) will walk you through a verification process and check your Number, and ID Number before giving a number of options to chose from. Redirect you to other affiliates and partners such as Kwese, Steward, Zol, Cummi etc. I guess this is a great way to help customers who need service since sometimes the call centres are overloaded. What do you think about Bud-e? Will you be chatting with it anytime soon? 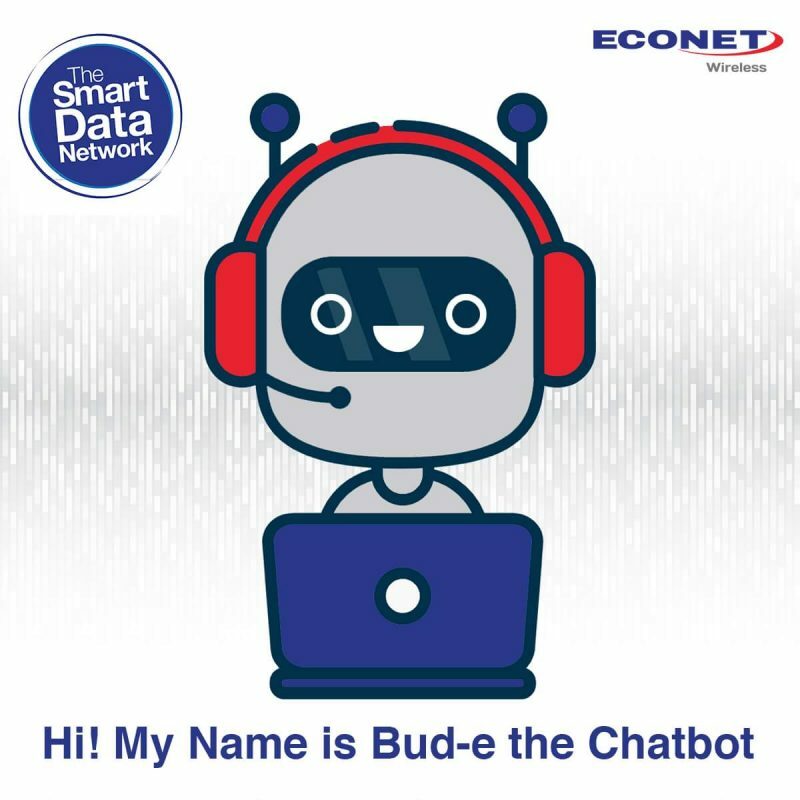 Well done Econet.This is very good and its clear you are responding to our needs.You are really inspired to change our world..Aluta continuia.. 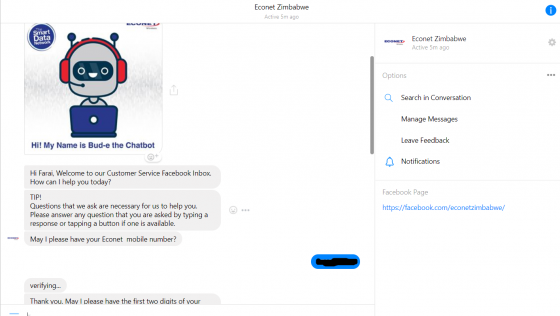 Interesting development from Econet. Well done on the intiative. We need to embrace technology! Im definitely going to give it a go. Hatisi kutaura nezve call centre, some people u seem so uptight with changes in technology. I highly think it’s a great innovation. Vakachangamukira vanhu ava. 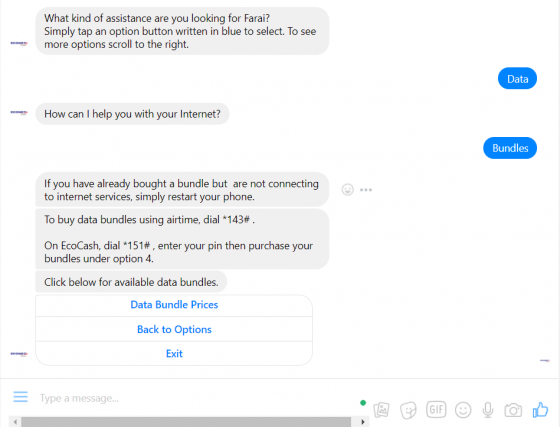 Interesting innovation , no complaints after getting quick assistance online via chatbot. Wow, great innovation right there, another first from the pioneers. Taking customer services to a whole new level. Econet inspired to change your world for sure. The number 1 network. This is a great innovation which will go a long way in terms of customer service online. its giving customers the power to do what they want and when they feel like doing it without an interface of human factor which seemed to be a challenge is so far as Call centres are concerned. making it available on Facebook is also a plus since most of us have access to social media bundles. It’s nice to have “innovation”, but it needs to be implemented properly. Why is the bot requesting mobile numbers and id numbers before I’ve even started to do anything? In this day an age of increased privacy and security concerns, a website, app or bot should only request for information it absolutely needs to get the job at hand done. 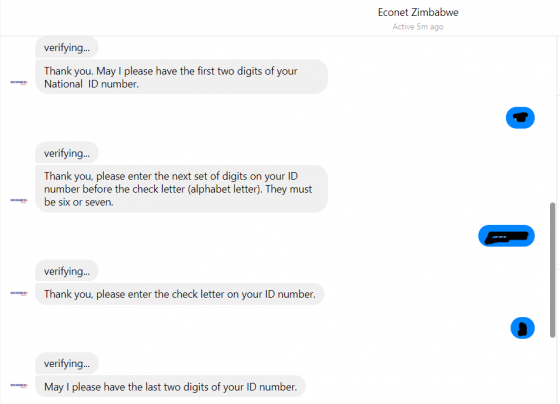 Your ID number and mobile number aren’t need to get Ecocash USSD codes or Data Bundle rates. And, what if you aren’t an Econet customer? And, was mighty disappointed that the ID number cannot be entered in one go.